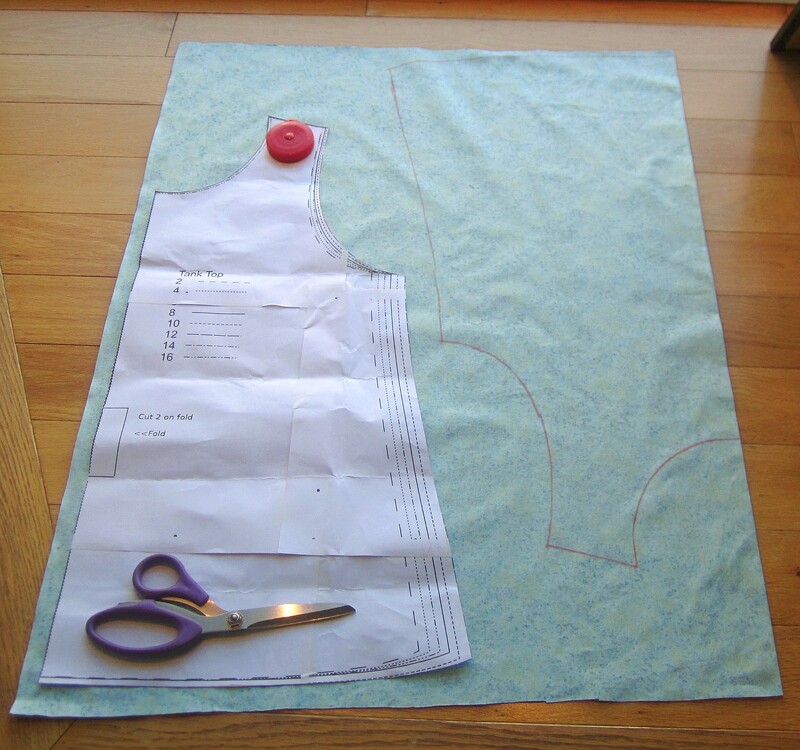 Is it weird to post a tank top sewing pattern and instructions in November when I live in the Northern hemisphere? 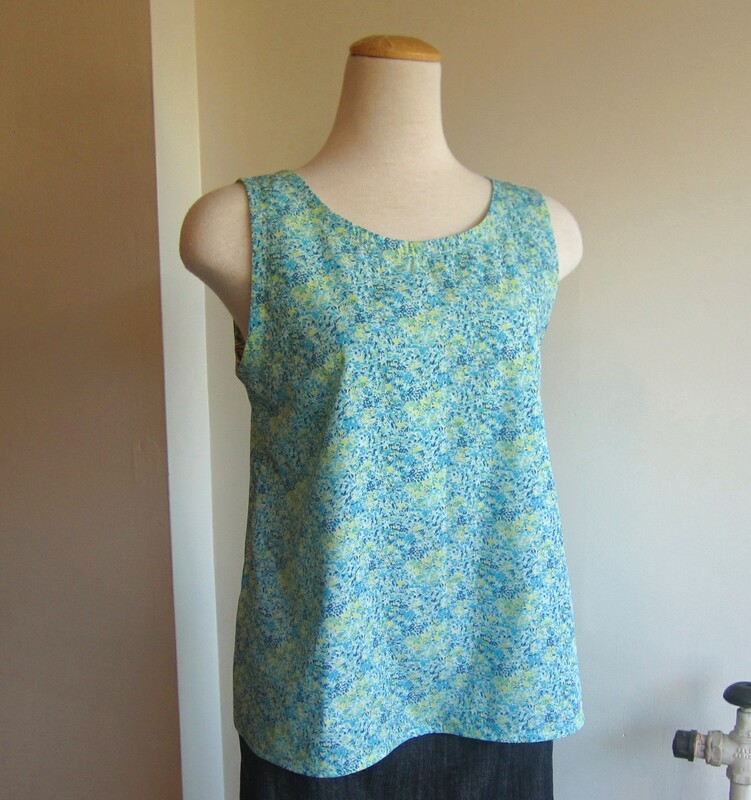 This tank top pattern is so easy to whip up; the front and back are the same pattern piece, and the neck and armholes are finished with binding tape. The pattern can be made with woven fabrics or knits, and the final product flatters darn near every body shape. 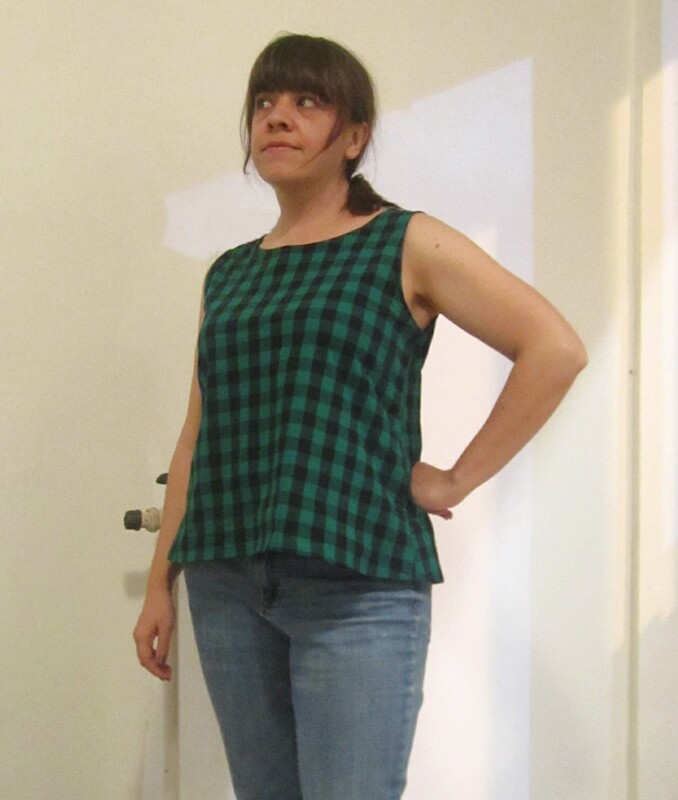 The tank top looks great with jeans or cropped 60s style pants, and it pairs well with a cardigan for cooler weather (I got yer back after all, Northern Hemisphere). Don’t worry, this button is legit – it’ll just take you to the Etsy listing! There is a 1/2″ seam allowance included but not marked. **Please note: there is no seam allowance added to the centre back line; the pattern was originally meant to be cut on the fold for both the front and back pieces. You’ll see that I’ve added a centre back seam in these instructions. Please feel free to decide for yourself whether or not you want a centre back seam and adjust your pattern accordingly. 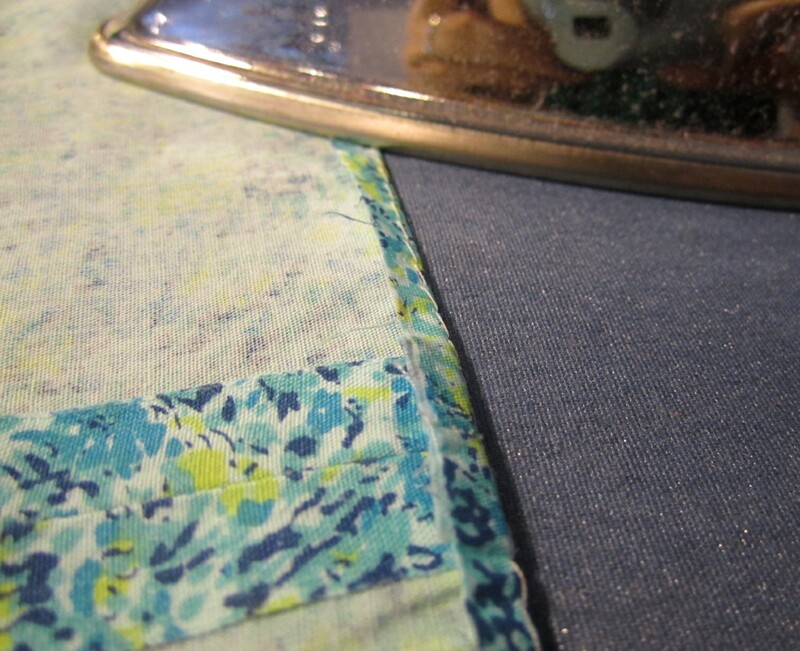 Back piece: line up fabric selvages, place pattern piece 1/2″ away from edge, selvage parallel to centre back length. Cut two, adding the width of the selvage to the project. With right sides facing, sew centre back seam. Press seam open. If you’ve used the selvage as your seam allowance, you won’t need to serge the raw edges! Flip the back piece over, and lay the front piece on top, right sides facing, shoulders and sides matching up. 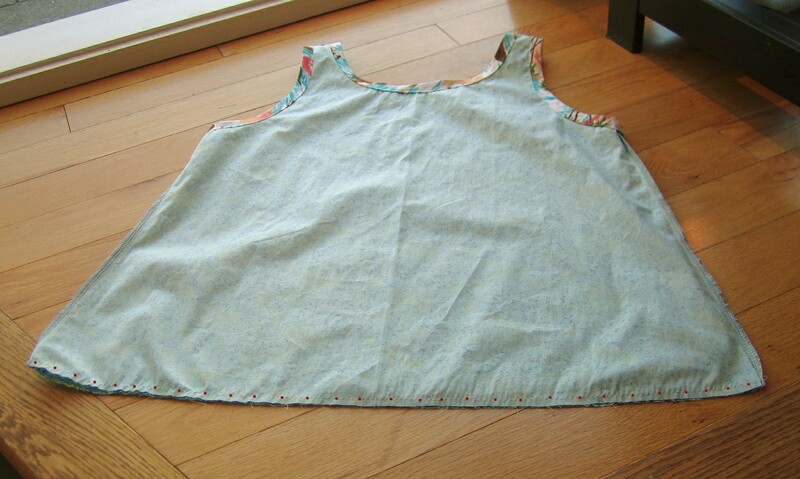 Pin and sew shoulder and side seams. Now it’s time to bind the neck and armholes! Turn your top right side out. 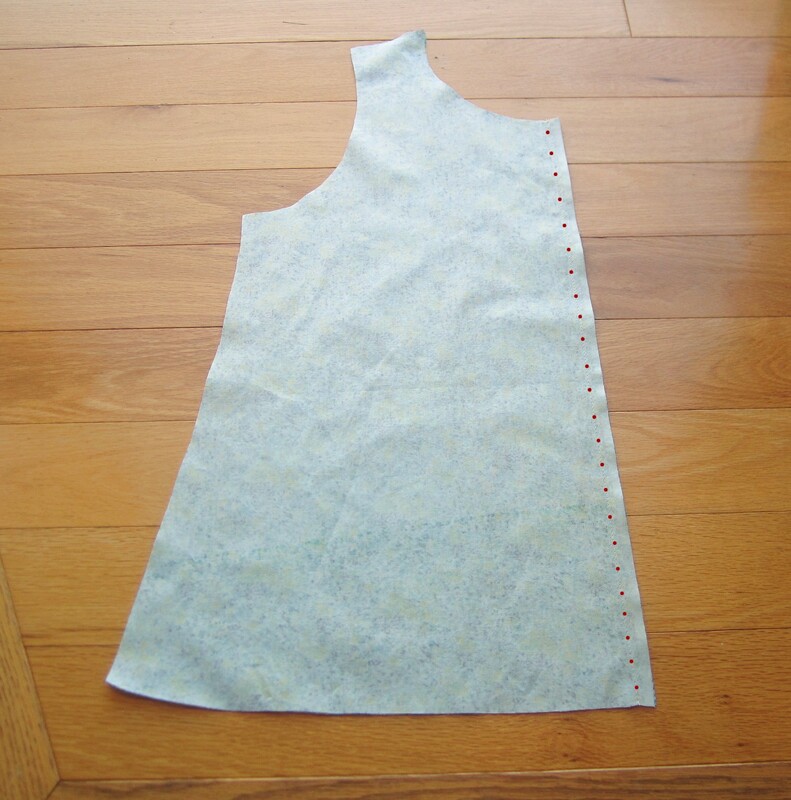 When you attach binding tape to a neck or armhole you want your project to be right side out so that the fabric and binding have right sides facing. 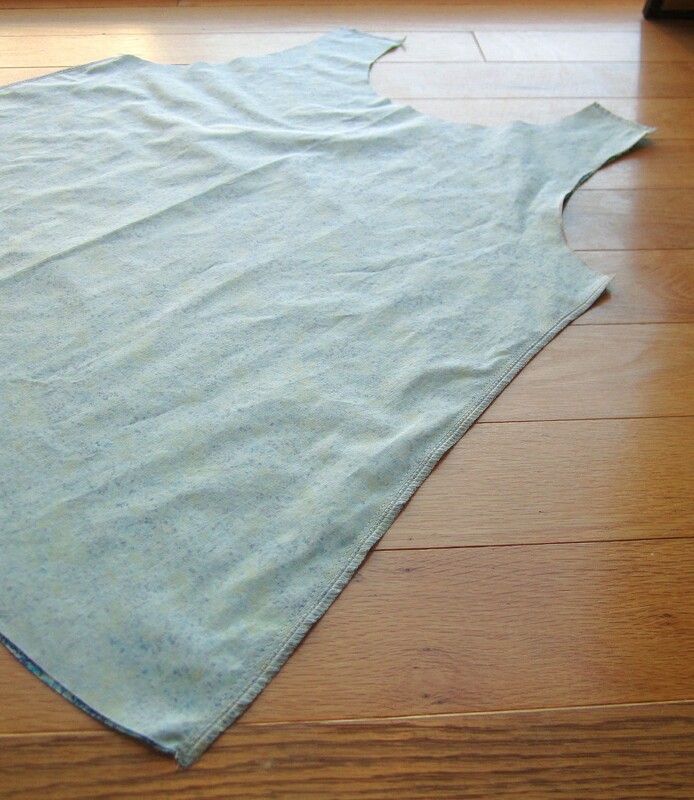 Starting at your neckline, with right sides facing, pin the binding to your centre back seam (if you have one) so that the starting edge of the binding extends past the centre seam by roughly 1/2″. 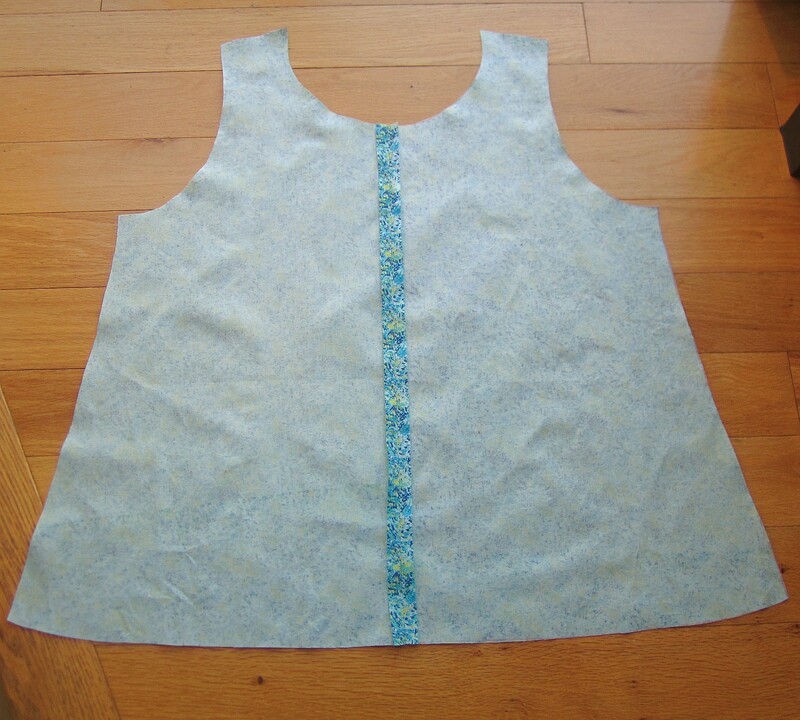 Sew around the neckline, using 1/4″ seam allowance. I use the edge of my presser foot as my sewing guide. 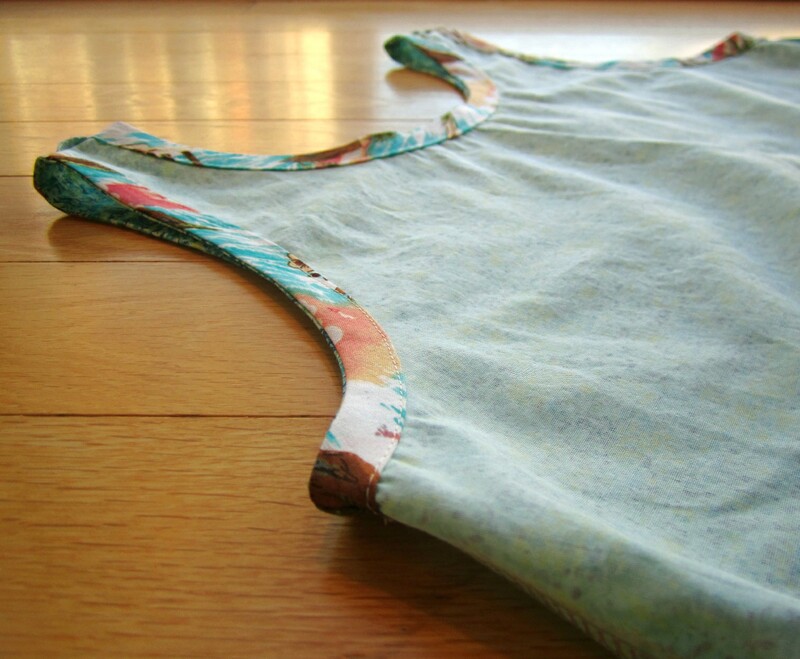 Use your fingers to ease the fabric and tape together as you sew around the curves. 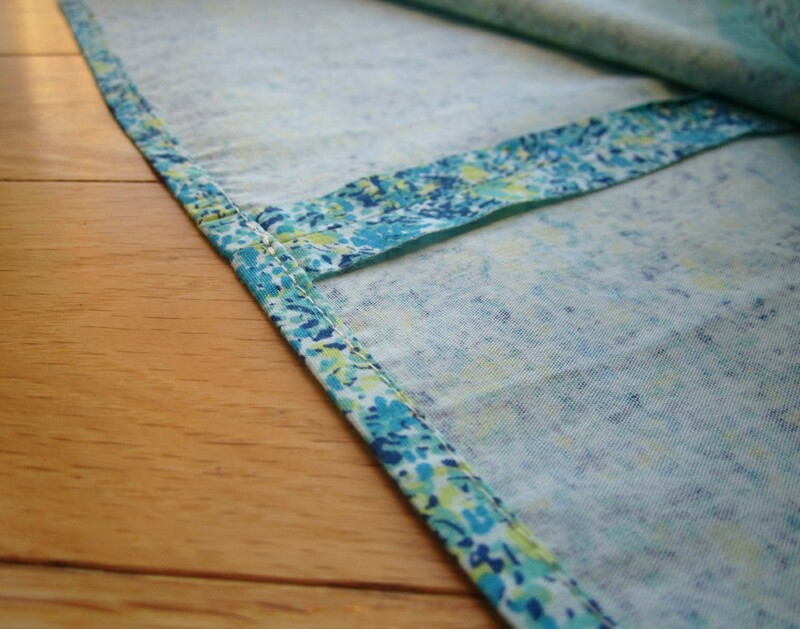 When you’ve sewn around the neckline and are getting close to where you started, fold over the little extra tab of binding from the start of the seam. And lay the end of the binding on top of the folded tab. Trim the end of the binding so that both edges line up. Back stitch in place. Turn project wrong side out (inside out). Fold binding over to the wrong side of the fabric. And now you’re going to sew down the binding. 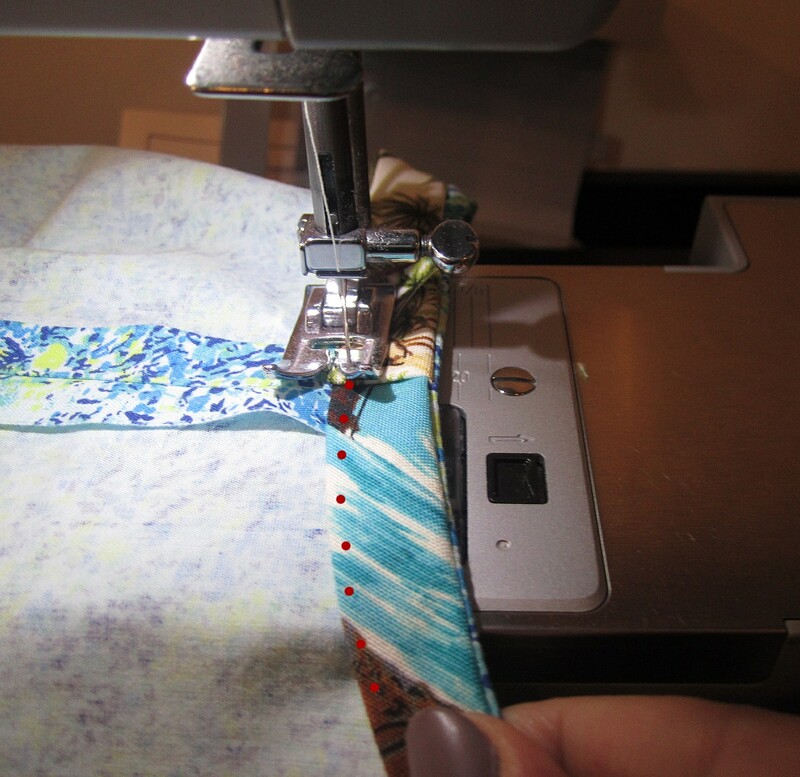 Depending on the width of your binding tape (and the accuracy of your stitching line), you’ll be sewing a 1/2″ seam allowance. Repeat binding process with armholes. 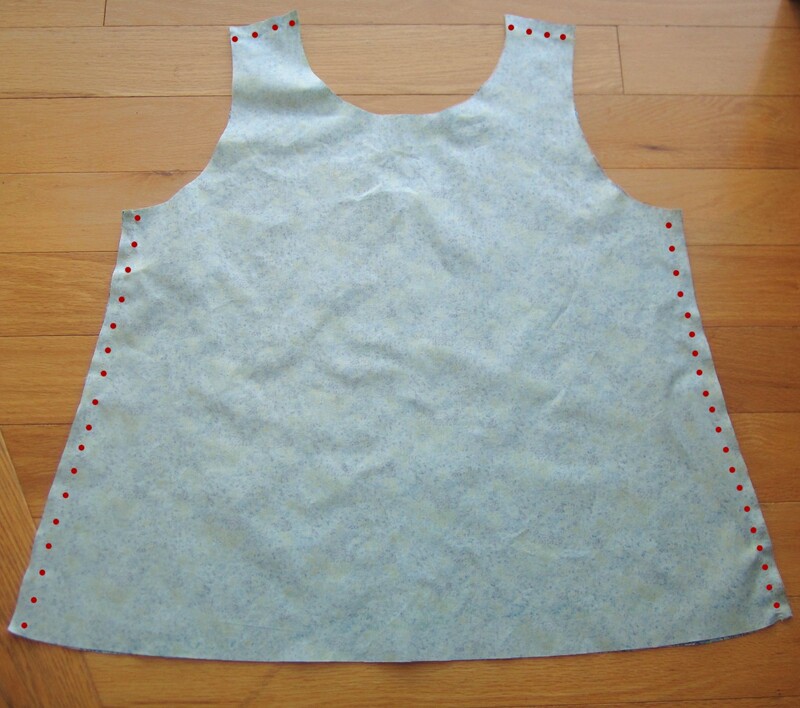 Press your neck and armholes flat after you’ve added the binding tape. They’ll look much more professional after you’ve ironed them good and flat! Now we’ll add a narrow(ish) hem! 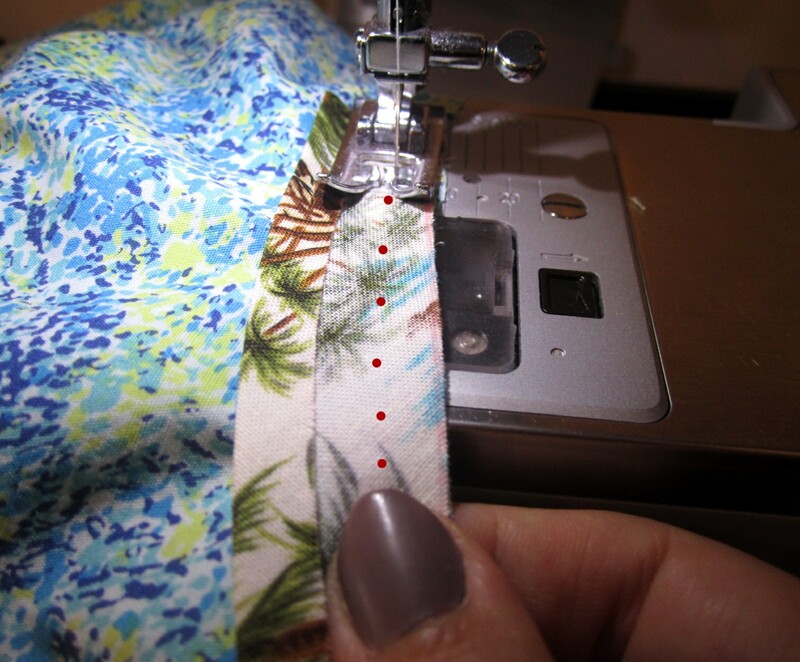 Adjust your sewing machine to its longest stitch. 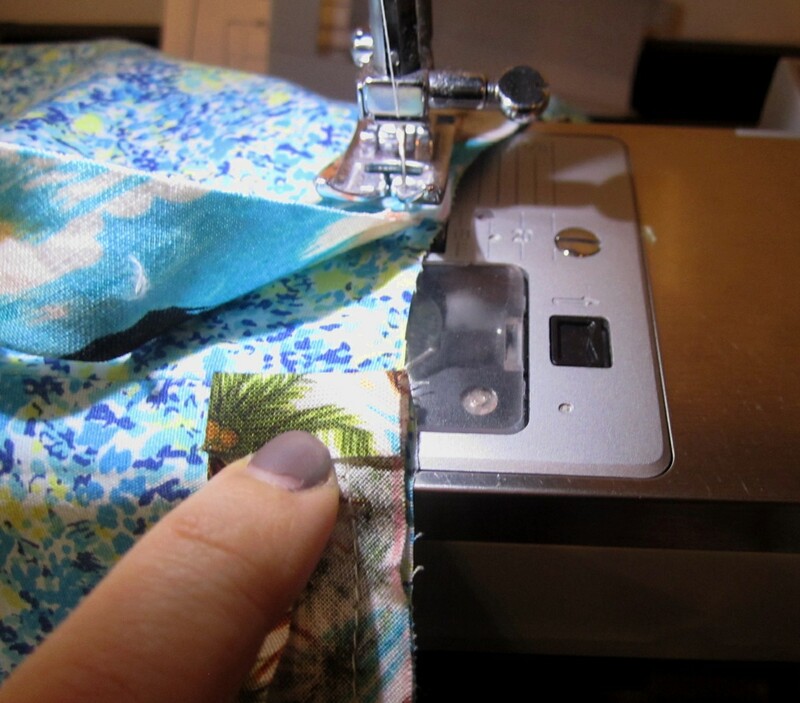 With a 1/4″ seam allowance, baste stitch all around the hem (I used my presser foot for a sewing guide yet again). 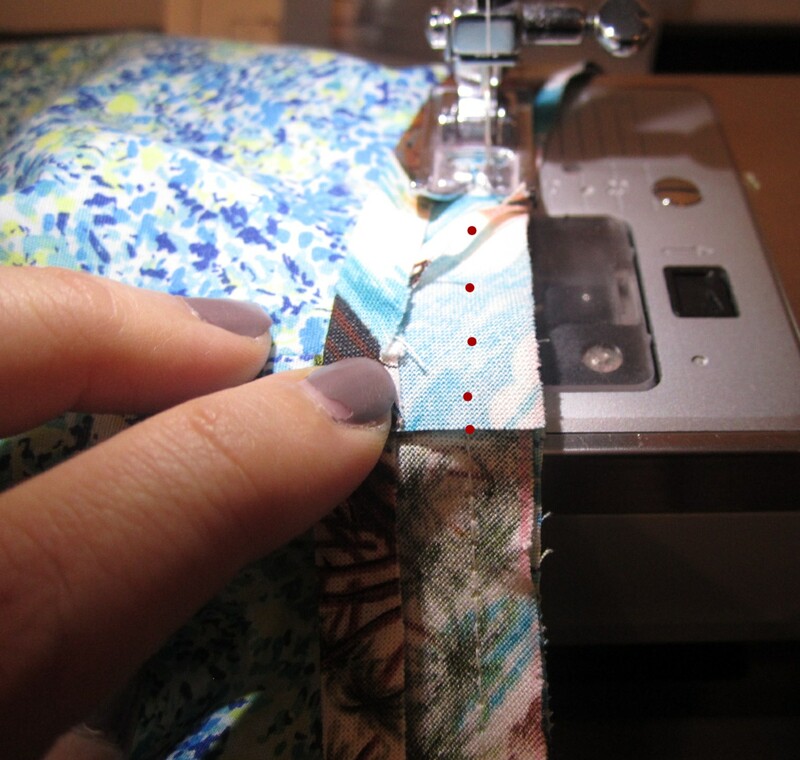 *Remember to adjust your sewing machine back to a regular stitch length after this step! I sure didn’t remember until I was halfway into my next seam! 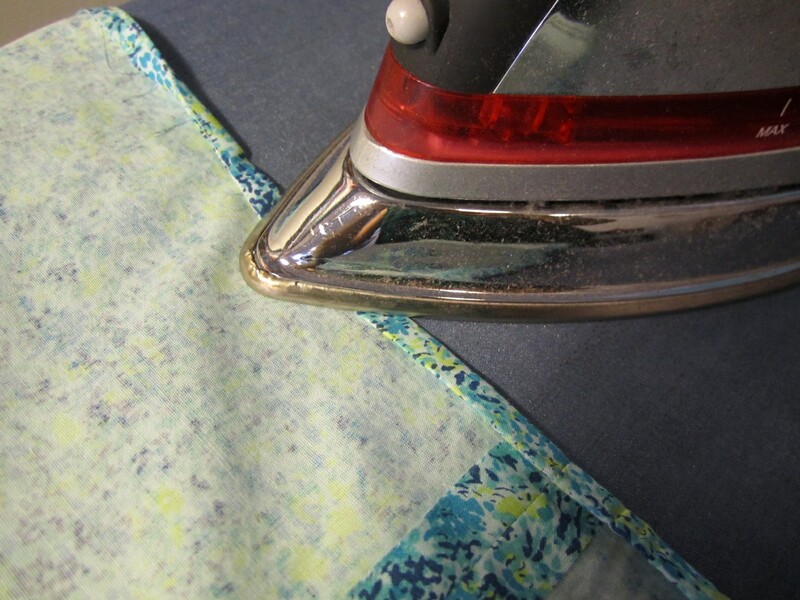 Fold up your hem along that baste stitch and press. This means that the baste stitches you just sewed will be in the first crease of the hem (don’t worry, they’ll be hidden from the prying eyes of the public soon enough). Fold over that tiny hem once more and press. 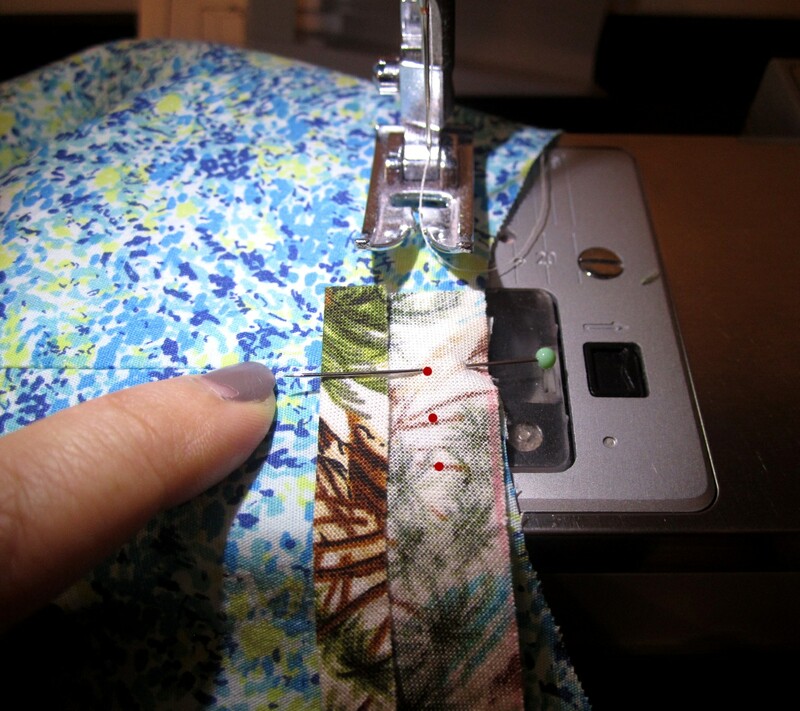 Now that baste stitch is on the inside fold of your hem. You can still see it if you look at the inside of your shirt, but it won’t be visible from the outside of the shirt! 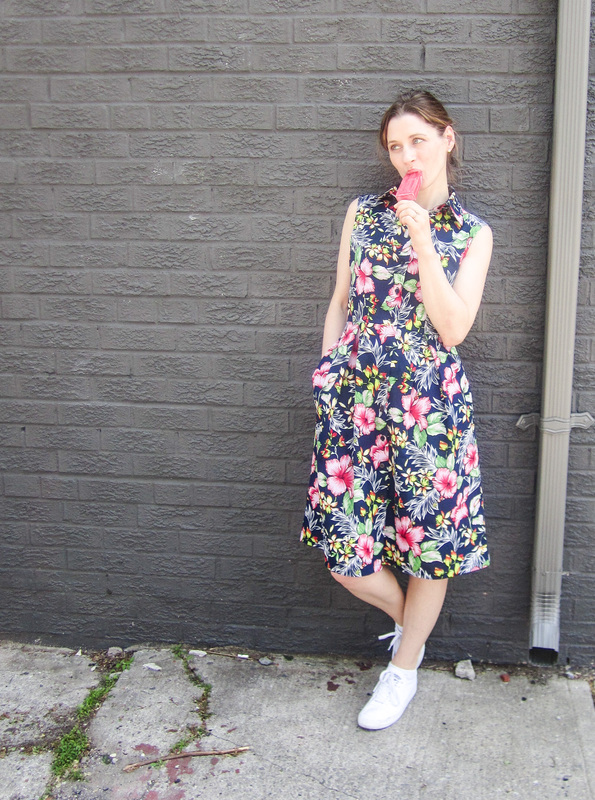 Sew your hem. 1/4″ seam allowance. Remember what I said about readjusting the stitch length on your machine back to normal length! Turn your tank top right side out and wear it! Hooray! Make a whole bunch for yourself! They’re so easy to make!